Anyways, I read the following quote and it amazes me how many people I have come across that don’t understand this. Some people actually think that Romans 1 is talking about trees and stars. Furthermore, Christ lights, John 1:9 says, echoing Romans 1 and 2, the mind of every man who comes into the world. This is the Biblical doctrine of general revelation. It is a denial of the pagan Aristotelian-Thomist-evidentialist-empiricist theory. The mind of every man, who is the image of God, is informed by the mind of Christ. So even if he is blind and cannot see the heavens, he has an innate idea of God. This information is innate, not learned by sensation. It makes man the image of God, and it makes all men inexcusable. It is these innate ideas that all sinners suppress in their zeal to escape God. One of the ways philosophers and theologians suppress these innate ideas is by inventing “proofs” for the existence of God derived from observation. (The pagan Aristotle is the godfather of all such proofs.) The gods they so “prove” are not the God of the Bible; they are idols – inventions of their sinful minds. If the Thomistic proofs for the existence of God were valid, they would disprove Christianity, for the gods they prove are not the God of the Bible. They are an illustration of the philosophers’ desire to escape the God of the Bible. The Bible does not begin with any proof of the existence of God; it begins with God. Nor does the Bible contain any argument attempting to prove the existence of God from what Rosenthal calls “general revelation.” Such a proof is logically impossible and theologically reprehensible. Truth cannot be derived form anything non-propositional. Unless one starts with truth, with propositional revelation, one can never arrive at any truth. Unless one starts with Scripture, God will remain merely a suppressed idea. I recently read W. Gary Campton’s new book “From Paedobaptism to Credobaptism.” You can find my first post on it here. Crampton does a great job of very clearly communicating a wide range of issues in this important debate. One of the key issues in Reformed arguments over baptism is properly understanding the New Covenant; both the nature of the New Covenant as well as the scope of its effect in redemptive history. This is not to say that persons under the Old Covenant administration did not “know the Lord.” Clearly, there were many who did. There were numerous persons who had their sins forgiven (Psalm 32:1-2), the law of God written on their hearts (Psalm 40:8; 119:11; Isaiah 51:7), and who had professed saving faith in the Messiah to come (John 8:56; Hebrews 11:24-26). * But the great majority of the Old Covenant community did not possess such faith (1 Cor 10:1-11), and membership was not restricted to those who “know the Lord.” The Old Covenant was a breakable covenant, whereas the New Covenant is not (Jeremiah 31:31-34; Hebrews 8:8-12). *[footnote] In this sense, as Calvin pointed out, all persons who are saved, both Old and New Covenants (the elect), are saved under the New Covenant; that is, Christ is the only Savior of all the elect (Hebrews 10:5-18; 12:10) (Institutes II: 11:10). This last footnote from Crampton is extremely important and I wish he had spilled more ink elaborating on it. Crampton quotes both Calvin and Owen in these few pages. Calvin and Owen both say that anyone who has ever been elect has been saved by the New Covenant. However, they provide two very different reasons for this. And I think Owen’s reason is what allows him to say the New Covenant is made of the elect alone, while Calvin does not. This is very specific language used during the time when discussing covenant theology. Most argued that the substance of the covenants remained the same, but only their outward appearance and administration/”manner of dispensation” were different. However, this is precisely what Crampton implies against in his footnote when he says “that is, Christ is the only Savior of all of the elect.” Per my reading, Crampton essentially said the Old Covenant elect must have been saved “under the New Covenant” because the substance of the New Covenant is altogether different from the Old (ie it had a different mediator/Christ is the Great High Priest of the New Covenant, not the Old). Owen said the Old Covenant elect were saved by the promsie, and that the promise was separate from the Old Covenant. Calvin also said they were saved by the promise, but he said the promise was the very substance of the Old Covenant, not separate from it. Also, Owen said Christ’s mediation was limited to the New Covenant, while Calvin said Christ was mediator of the Old Covenant. You may be tempted to brush this aside as useless splitting of hairs, but this is a very nuanced debate and thus we must be very nuanced in our discussion of it – because it does have very serious ramifications. Here we are to observe how the covenant of the law compares with the covenant of the gospel, the ministry of Christ with that of Moses. For if the comparison had reference to the substance of the promises, then there would be great disagreement between the Testaments. But since the trend of the argument leads us in another direction, we must follow it to find the truth. Let us then set forth the covenant that he once established as eternal and never-perishing. Its fulfillment, by which is is finally confirmed and ratified, is Christ. [Here Calvin magically combines the two distinct covenants under discussion in the passage into one covenant]. While such confirmation was awaited, the Lord appointed, through Moses, ceremonies that were, so to speak, solemn symbols of that confirmation. A controversy arose over whether or not the ceremonies that had been ordained in the law ought to give way to Christ. Now these were only the accidental properties of the covenant, or additions and appendages, and in common parlance, accessories of it [as opposed to the substance of it]. Yet because they were means of administering it, they bear the name “covenant,” just as is customary in the case of other sacraments. To sum up then, in this passage “Old Testament” means the solemn manner of confirming the covenant, comprised in ceremonies and sacrifices. Because nothing substantial underlies this unless we go beyond it, the apostle contends that it ought to be terminated and abrogated, to give place to Christ, the Sponsor and Mediator of a better covenant [cf. Heb 7:22]; whereby he imparts eternal sanctifications once and for all to the elect, blotting out their transgressions, which remained under the law. Or, if you prefer, understand it thus: the Old Testament of the Lord was that covenant [the eternal covenant] wrapped up in the shadowy and ineffectual observance of ceremonies and delivered to the Jews; it was temporary because it remained, as it were, in suspense until it might rest upon a firm and substantial confirmation. It became new and eternal only after it was consecrated and established by the blood of Christ. Hence Christ in the Supper calls the cup that he gives to his disciples “the cup of the New Testament in my blood” [Luke 22:20]. By this he means that the Testament of God attained its truth when sealed by his blood, and thereby becomes new and eternal. Wow. Look at how radically different Calvin’s conclusion is from Owen’s when commenting on the same passage of Scripture. Calvin strips Scripture of its plain teaching and insists that “Old Covenant” in Hebrews 8 actually means “Old Covenant Ceremonies” because the Old Covenant is really the same covenant as the New Covenant, they just look different. According to Calvin, they are both the same eternal covenant. The Old “becomes” the New. They are the same. This difference between Owen and Calvin is important, because it is precisely (in my opinion) why Crampton can rely upon Owen to provide the excellent quote about the New Covenant being made of elect, regenerate members only. The three latter comparisons to which we have referred are of the law and the gospel. 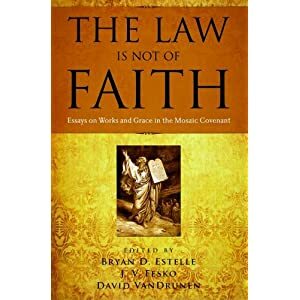 In them the law is signified by the name “Old Testament,” the gospel by “New Testament.” The first extends more widely, for it includes within itself also the promises published before the law. Augustine, however, said that these should not be reckoned under the name “Old Testament.” This was very sensible. He meant the same thing as we are teaching: for he was referring to those statements of Jeremiah and Paul wherein the Old Testament is distinguished from the word of grace and mercy. In the same passage he very aptly adds the following: “the children of the promise [Rom 9:8], reborn of God, who have obeyed the commands by faith working through love [Gal 5:6], have belonged to the New Covenant since the world began. This they did, not in hope of carnal, earthly, and temporal things, but in hope of spiritual, heavenly, and eternal benefits. For they believed especially in the Mediator; and they did not doubt that through him the Spirit was given to them that they might do good, and that they were pardoned whenever they sinned.” It is that very point which I intend to affirm: all the saints whom Scripture mentions as being particularly chosen of God from the beginning of the world have shared with us the same blessing unto eternal salvation. This, then, is the difference between our analysis and his: ours distinguishes between the clarity of the gospel and the obscurer dispensation of the Word that had preceded it, according to that statement of Christ, “The Law and the Prophets were until John; since then the Kingdom of God is proclaimed” [Luke 16:16]; Augustine’s division simply separates the weakness of the law from the firmness of the gospel. We must also note this about the holy patriarchs: they so lived under the Old Covenant as not to remain there but ever to aspire to the New, and thus embraced a real share in it. The apostle condemns as blind and accursed those who, content with present shadows, did not stretch their minds to Christ. In the footnote, Crampton’s point (per my reading) is that OT saints must have been saved by the New Covenant because Christ is mediator and priest of the New Covenant – but Calvin disagrees. I believe there is warrant for claiming Calvin meant something different from Crampton because Crampton’s comment “that is, Christ is the only Savior of all of the elect” and his reference to Hebrews 10:5-18; 12:10, are not found in the Calvin reference he provides. In sum: Calvin said Christ is the mediator of both the Old and the New because they are the same. But Owen disagreed with Calvin, saying that Moses was the mediator of the Old while Christ is the mediator of the New. You may be thoroughly confused by now – which is why I wish Crampton had elaborated on this footnote 🙂 However, I think this is an important topic worth pressing and clarifying further. Hopefully I was able to do that to an extent. I welcome all comments, critiques, and corrections. I don’t think that we need to break the bounds of cause-and-effect in time. The OT saints looked forward to the formal inauguration of the NC in the death of Christ as their Mediator, and thus were made partakers of, heirs of, or members of the New Covenant. How is that possible if the NC was not inaugurated until Christ’s death? (1) I think we need to acknowledge that the OT saints did not consider their Mediator, their Redeemer, as having already come and accomplished their redemption. For them it was yet future. Thus the cause-and-effect in time aspect is still in force for them. The position of Christ in the covenant of redemption is twofold. In the first place He is Surety (Gr. egguos), a word that is used only in Heb 7:22. The derivation of this word is uncertain, and therefore cannot aid us in establishing its meaning. But the meaning is not doubtful. A surety is one who engages to become responsible for it that the legal obligations of another will be met. In the covenant of redemption Christ undertook to atone for the sins of His people by bearing the necessary punishment, and to meet the demands of the law for them. And by taking the place of delinquent man He became the last Adam, and is as such also the Head of the covenant, the Representative of all those whom the Father has given Him… [An uncondintional] surety takes upon himself unconditionally to pay for another, thus relieving the guilty party of his responsibility at once. This is the meaning of the word “established”, say we; but it is, “reduced into a fixed state of a law or ordinance.” All the obedience required in it, all the worship appointed by it, all the privileges exhibited in it, and the grace administered with them, are all given for a statute, law, and ordinance to the church. That which before lay hid in promises, in many things obscure, the principal mysteries of it being a secret hid in God himself, was now brought to light; and that covenant which had invisibly, in the way of a promise, put forth its efficacy under types and shadows, was now solemnly sealed, ratified, and confirmed, in the death and resurrection of Christ. It had before the confirmation of a promise, which is an oath; it had now the confirmation of a covenant, which is blood. 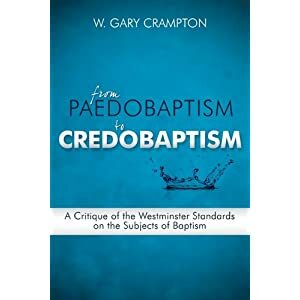 I just read through W. Gary Campton’s new book “From Paedobaptism to Credobaptism.” It is not the end-all-be-all of books on the subject (it is not intended to be – he provides extensive footnotes to dig deeper), but it is a very lucid walk through the subject focusing specifically on the WCF from a well qualified former paedobaptist who has published many books, such as What Calvin Says, Sola Scriptura, and Meet Jonathan Edwards. At the very least no one can object that he just doesn’t understand covenantal, reformed theology and needs to take a Covenant 101 class. I’ll be posting several interesting points that I came across in the book, but wanted to start with the basic thrust of the book: The Westminster Confession of Faith is contradictory in what it teaches about baptism. “Hence, when the WCF 28.4 goes on to say that ‘not only those that do actually profess faith in and obedience unto Christ, but also the infants of one, or both, believing parents, are to be baptized,” it contradicts its own definition of baptism. Sections 28:1 and 28:4 of the Confession do not comport. What Vos has done is to redefine the covenant of grace to meet his presupposition that infants of believing parents are in the covenant and should be baptized. The new definition includes the non-elect [contrary to WLC Q31]. This is an oxymoron to be sure. It is simply unreasonable to speak of God’s (saving) “grace” bestowed covenantally upon the non-elect. Rather is must be said that if the covenant of grace, as the Westminster divines properly define it, is with the elect in Christ, there cannot be an external aspect to it. If one is elect, then he is elect, and he will be “inwardly” regenerated by the Holy Spirit. Baptism as the sign and seal of the Covenant of Grace identifies and secures, according to its proper purpose, the salvation of those chosen in Christ (in the mystery of God’s electing purpose). Hence, not all recipients of the baptismal ordinance receive the saving benefits of Christ’s atonement. Baptism, like circumcision previously, enunciates the dual sanctions of the covenant, blessing for obedience and curse of disobedience. In all cases Christian baptism is the sacrament of initiation into the covenant family of God, the church visible. It does not guarantee salvation for all who receive the sign. The fruits of justification (and regeneration which precedes justification) are manifested in converted lives – lives evidencing true repentance, faith and obedience. Here we must distinguish properly the benefits of the Covenant of Redemption to the elect and the wider (common grace) benefits of the Covenant of Grace to the unregenerate who find themselves included within the covenant family in its historical formulation. 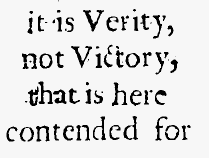 …Considering the Westminster Larger Catechism (31), it would appear that Meredith G. Kline’s line of interpretation, shared by some of the Puritan divines, did not with the day at the Westminster Assembly – or so it would appear. But here is where matters become much more subtle and complex. As one studies the literature of the period (and in the time leading up to the Assembly), various theological nuances must be acknowledged. The answer to question 31 of the Larger Catechism provides insight into what is the proper purpose of redemptive covenant, namely, election to salvation. However, redemptive covenant, as historically administered over the course of time, is broader than election. Q&A 31 must be read in the light of what is taught in Q&A 61-66. Tension [read: contradiction]? Yes. Need for reformulation and clarification? Yes. Although the Covenant of Redemption is not explicitly identified in the Confession, the substance is taught in chapter 8. In the final analysis, the answer to the Federal Visionists is not exegesis of the Westminster Standards per se, but engagement with Scripture and the confessions, the former being the final arbiter. Theological formulation does not end with these confessional writings, as important as they are in the life and witness of the church and in the history of doctrine. 1. It leads to a definition of the covenant community (church) in Baptistic terms as consisting of believers or the elect, contrary to the Presbyterian doctrine that the church consists of those who profess Christian faith and their children. 2. Arguably (as I suggested at the faculty forum), it has contributed by its formal fusing of the works and grace principles to the confusion of the two and even the repudiation of the works principle in the teachings of Fuller, Shepherd, et. al. These are precisely the two points of contention with WCF I have striven to work out and articulate on this blog. I do not think Kline’s “solution” of making the Covenant of Redemption a covenant made with the elect to be a viable option, but I will have to save that for another post. Believer’s obedience and good works are still sullied with the stains of the flesh and are imperfect; much that is sinful still clings to their good works. Thus if their works were presented before the judgment seat of God, they would of necessity be liable to the sentence that God has already pronounced in His Word, “Cursed is everyone who does not continue in all things which are written in the book of the law, to do them (Gal. 3:13). It is, therefore, easy to see that if we should depend in part on our works, even a little, our consciences could never be at peace or assured that we are justified before God and can stand in His presence. Instead they would be assured of our condemnation. 170 Q: You are not saying, then, that good works are useless? Good works are also useful because by the example of our good works we win others to Christ and keep those already won from falling away. The longer they are kept close to Christ, the more they are built up. I finally checked out a copy at the library and am going to try to blog through the book (hopefully that will get me to finish it – something I have a hard time doing with books!). I hope you find it interesting and more than that I hope it provokes some discussion on the topic – so let me know what you think. Lyden’s thesis is intriguing. Though he may not put it in these terms, he seems to be basically acknowledging that all of life is theological and that we cannot safely divide our “secular” life from our “religious” life. Everything we do is wrapped up in religion, which is why Paul said “whether you eat or drink or whatever you do, do all to the glory of God.” Furthermore, everyone has a religion. Everyone has a worldview and they seek out things in their life that confirm and support that worldview. We cannot neglect the pervasiveness of “religion” in our “secular” affairs. However, I am leery of Lyden’s thesis being “Film as Religion.” That’s like saying “Writing as Religion.” I don’t think we can make the medium the religion. I know that’s not what Lyden intends, but we’ll see how careful he is about it. Perhaps a better title would be “Hollywood as Religion” because that entails film, a specific manner of film-going, and a particular worldview & message. We’ll see how this is worked out throughout the book. One other area of concern may be Lyden’s definition of religion. Religion is notoriously difficult to define. In his book Religion, Reason, and Revelation Gordon H. Clark concludes that there is no proper and fitting definition of religion other than “God’s creating Adam in his own image and giving him a special revelation…” as well all distortions of that original religion (which includes just about everything). (Clark argues that because distortion of this religion is the result of sin, and sin is irrational, that there cannot be any logical classification of religion). I think Lyden’s thesis would still qualify under Clark’s definition, but I am content to go along with Lyden’s definition for the purposes of the book. Wikipedia is generally a good measuring stick to gauge what the world thinks about any given topic, and it provides a definition similar to Lyden’s: “in general a set of beliefs explaining the existence of and giving meaning to the universe, usually involving devotional and ritual observances, and often containing a moral code governing the conduct of human affairs.” That definition works for me and it looks like Lyden’s thesis may be true. We’ll see.